Although very sorry about the murder of the Pacific Northwest Artist, I still laughed a plenty while reading the lines Stoker Templeton-Vane and Veronica Speedwell threw at one another. The fact that Veronica is a butterfly netter makes for exciting reading too. I wanted to look up each butterfly named. I didn't have time. I wished for more detailed descriptions of the butterflies. I especially like the part where Veronica and Stoker or maybe just Veronica become "foxed." Stoker carries her over his back and Veronica says the view is wonderful. 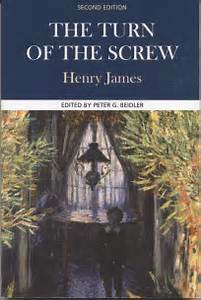 There is only one more book in the series, I think. So, I am looking forward to your next set of mysteries. Sorry for not mentioning the title and your name which I remember very well: "A Perilous Undertaking" by Veronica Speedwell. Oh yes, Veronica does have the nerve of an aching tooth. That is so true. "It was a big, ugly, antique, but convenient house..."
"...I had the fancy of our being almost as lost as a handful of passengers in a great drifting ship...I was strangely at the helm!" 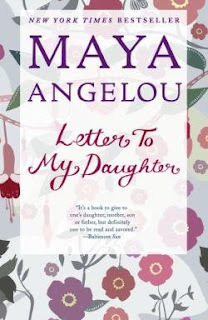 In this book, "Letter to My Daughter" by Maya Angelou, I discovered a few new facts about Doctor Maya Angelou. For example, I did not realize her mother owned a hotel. I also didn't remember her sense of humor. I also think she had the ability to disagree with a person's opinion without raising her voice and maintaining her dignity in front of other people. This book definitely gives a fuller picture of this woman's opinions. I liked thinking about the women she called her daughters. These women must have visited her countless times and received good advice. Two of the women she listed as daughters are Oprah Winfrey and Gayle B. King. Maya Angelou also remembers people who "mothered" her whenever struggles occurred in her life. For those of us who did not have the chance to meet her personally, she hopes her books will nurture us as a mother would care for her children throughout life. Rachel, Pinsiera, a little girl, is very ill with Leukemia. In "Exposed" by Lisa Scottoline, family and friends deal with all sorts of troubles while doing their best to give all the love possible. These troubles stem from the father, Simon's, job. There is a cover up and those in higher position have a deeper concern for money rather than the stress this father is dealing with while waiting for the right donor for a Bone Marrow and the heavy medical costs. Simon has only one course of action. When he takes that action, all the balls fall to the floor as these White Collar criminals defame his character and fight back.